Place quinoa, water and salt in a saucepan and cook as package directs. 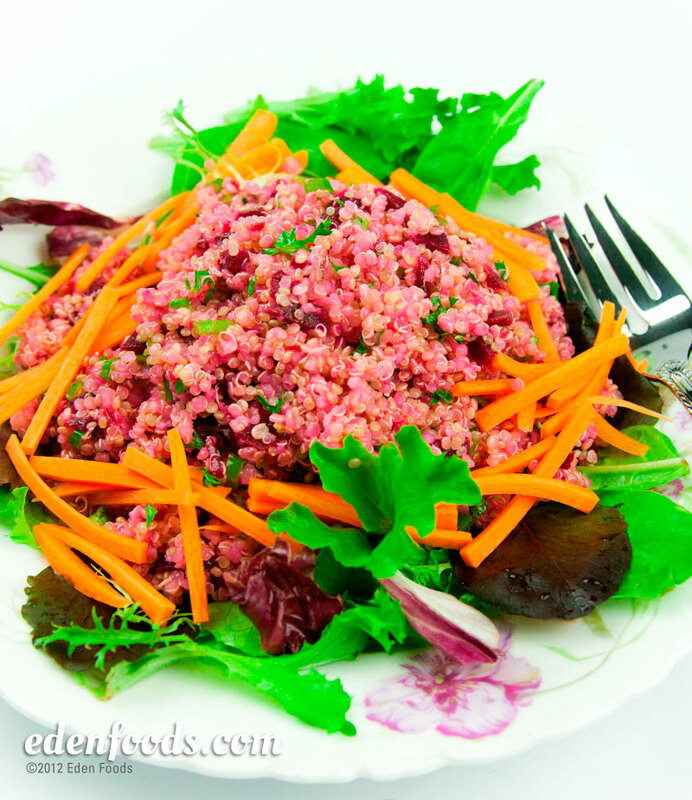 Remove, fluff up the quinoa, stir in the beets until all the grains turn scarlet. Stir in the parsley, scallions, olive oil and lemon juice. Serve on a bed of salad greens surrounded with carrot sticks. May be served warm, room temperature or chilled. Additional lemon juice and Eden Sea Salt may be added, if desired.